Centrally located, this Clayton hotel provides every amenity needed to ensure travelers an enjoyable and relaxing stay in New Mexico. 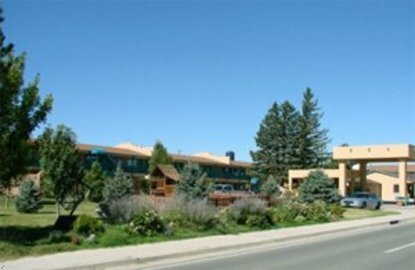 Situated in Clayton, New Mexico, the Best Western Kokopelli Lodge offers guests Southwestern hospitality, friendly customer service and great amenities at a reasonable rate. Guests will be close to a variety of recreational activities including hiking, swimming, fishing, golf, archery and tennis. All spacious, well-appointed guest rooms feature high-speed Internet access and cable satellite television. The hotel also offers suite accommodations and whirlpool rooms. Guests are welcome to enjoy a complimentary hot buffet breakfast each morning before heading out to explore the area. Other hotel amenities include an outdoor heated pool, picnic areas with grills, a playground and a shuffleboard area. Guests will enjoy relaxing at the beautifully landscaped park and fish pond, found on the hotel premises. Pets are welcome The Best Western Kokopelli Lodge is located just one mile from the Clayton Centennial Park, Union Count Historical Park and the Stein Memorial Museum. A few miles from the hotel, guests can visit the Clayton Lake State Park, Dinosaur Tracks Exhibit and the Santa Fe Trail. Hotel guests can drive an hour to explore the Capulin Volcano National Park and the McNees Crossing. While visiting Clayton in July or October, guests should make a point to stop by the the Clayton Arts Festival or watch the Top Gun Golf Tournament. Make an online reservation today and save at the Best Western Kokopelli Lodge.